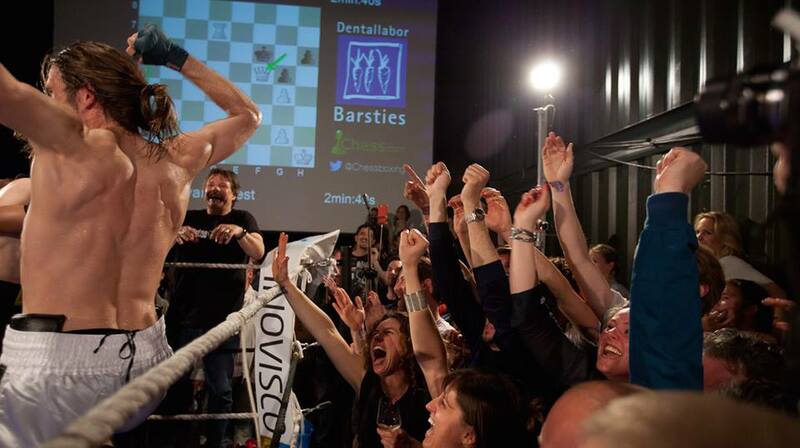 In 2002 Dutch born Iepe Rubingh walked into a bar a performance artist, and walked out the founder of Chessboxing. 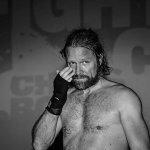 Inspired by French graphic novel “Froid Équateur, Chessboxing is a hybrid of perhaps the two most contrasting sports on the planet. Competitors are confronted with four-minute chess rounds interspersed with three-minute rounds of boxing. After eleven rounds a winner is declared via checkmate, knockout or a decision by the judge. 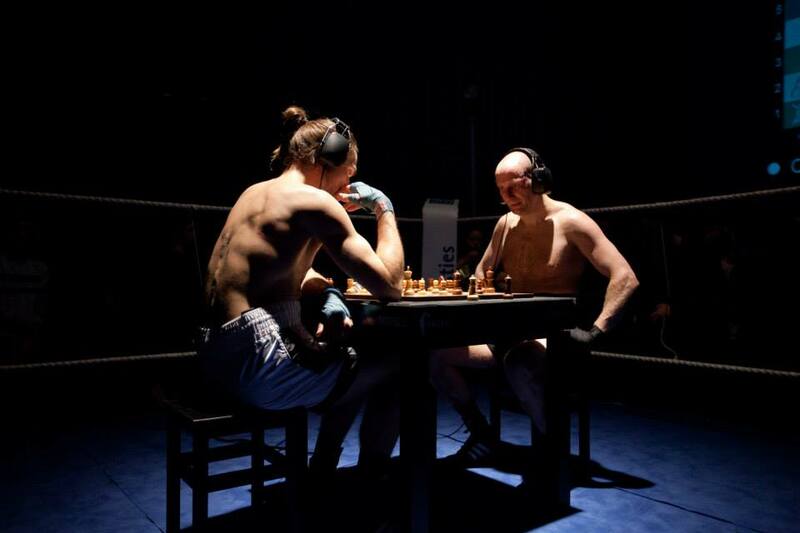 Chessboxing has expanded from a fairly low-key event, into an international spectacle spanning from the UK to the US, and even India. Was it always your intention to start a World Chessboxing organization? Right from the beginning, we knew it could become a global movement. We wanted it to become a sport that would spread around the world, and did several things to make this possible such as starting the World Chess Boxing Organization (WCBO) and designing a website. But honestly, now that it’s happening, it is even better than I ever imagined. 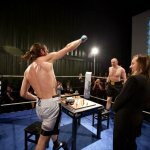 What is the reaction of the public to Chessboxing? Do they see it as a legitimate sport, or is it perceived more as a form of entertainment? I think to understand Chessboxing, you have to experience it for yourself. Once you have seen it live, you understand it is truly a fighting sport where people train hard. These people don’t think about it as a good show, they just want to win. The public definitely appreciates this. 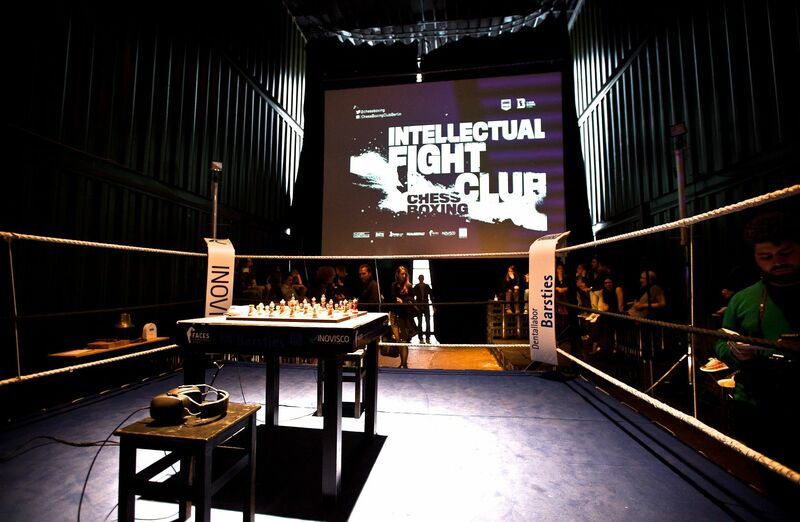 Of course the Intellectual Fight Club that we host at Platoon, where the rookies fight, differs a lot from the World Championships at the Columbiahalle. In the end though, it is still the same game. One fighter always wins. Can you describe the fan base? The fan base is amazing! On any given night you’ll find so many different people varying from writers, artists, and students, to doctors, and real estate moguls, you know, general movers and shakers. I find the audience differs from the “usual” boxing crowd. There’s an over-all feel of open mindedness. There's an sort of "open mindedness" to the participants as well - ranging anywhere from stockbrokers to garbage men. How do you think the diversity of competitors adds to the overall experience? The variety of participants is most obvious at the IFC events. Everyone has something to prove, or wants to eliminate a certain prejudice. The stockbrokers want to prove they are tough and not afraid to step into a ring. The garbage men want to prove they are smart and are able to outwit their opponent. So much of what we do comes with predispositions and certain biases. We tend to forget that everybody is capable of learning and changing – everyone is able to throw a right punch and learn the queen’s gambit! I think there is a need for fighting in our society, a sort of way of keeping in touch with our oldest instincts, but adding the “mental battle” of chess makes it more contemporary. Intelligence is pretty vital in today’s society. Are women able to fight? Have you entertained the idea of running female training camps? Of course women are able to fight! In India I’ve trained over fifty girls and women ranging from six years old to their early thirties. One of my favorite new chessboxers is a woman – Richa Sharma. She studies mathematics, swam the strait of Gibraltar, and is a great amateur boxer! When I met Richa however, her chess game needed a bit of polishing. She told me she really believed in the format, and after she lost the Kolkata tournament in 2014, she started taking her chess training seriously to make sure she would win the next Indian National Championship. Four weeks ago, I heard she won the finals through a checkmate in the very last round. Since 2003 you’ve been hosting the Intellectual Fight Club at Platoon. Can you explain how this night differs from your World Series Intellectual Fight Nights? Why did Platoon seem like the right venue for this event. 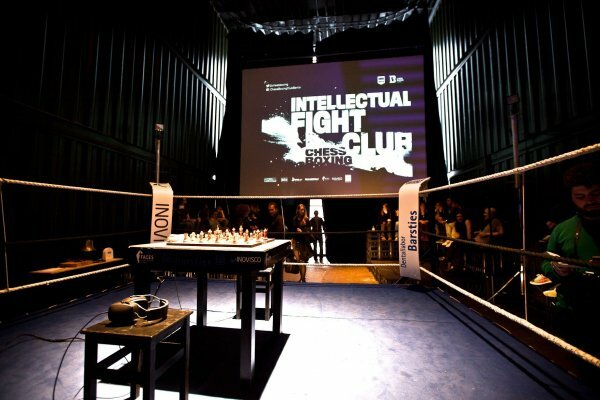 We held similar Chessboxing events at Platoon, however the Intellectual Fight Club actually only started in May of this year. 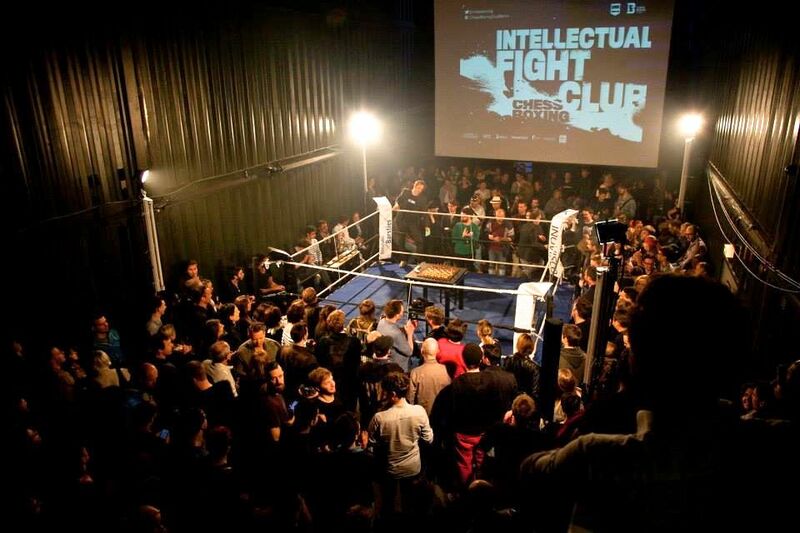 We like to think of Intellectual Fight Club as the dirty little brother of our professional series International Fight Nights, and because of this we were looking for an industrial setting. Platoon offered the right atmosphere. 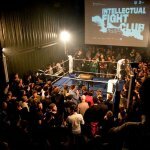 The best competitors from all over the world fight at the Intellectual Fight Night, it's even on it's way to becoming a full professional league. But people like you and me fight at IFC. At IFC, anybody who's been training seriously for at least six months can fight. 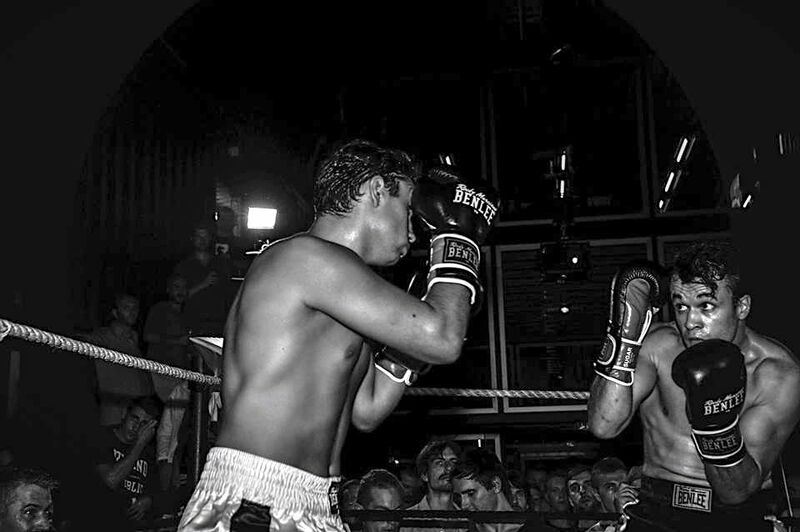 Do you have memories of the first Chessboxing night at PLATOON in 2003? 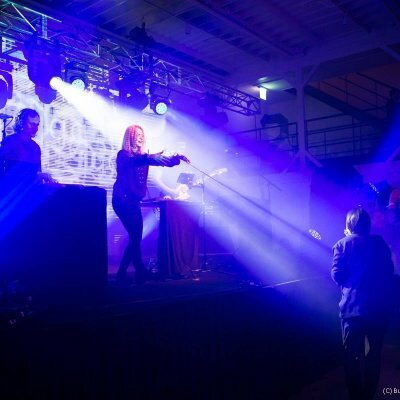 The first event at PLATOON was special. 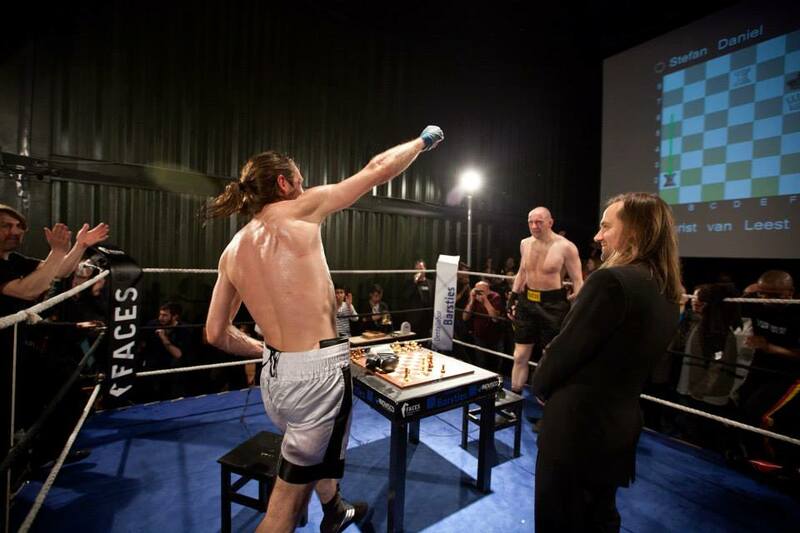 It determined whether or not Chessboxing could be an actual sport of public interest. We had no clue if the crowd would accept the chess round, or grab a drink and a smoke until the fighting returned. To our surprise, they loved the chess! Getting excited and even cheering over a checkmate. Excitement most likely has a lot to do with the announcer. We hear you've brought in a new ring announcer with a rather interesting background. Can you elaborate a bit? Yeah Syd Bakar (aka Akram Baker). Syd grew up in Washington as a 4th generation Palestinian Freedom fighter. He returned to Ramallah with his father when he was sixteen, became the spokesman for the foreign minister of Palestine at the peacekeeping processes in Oslo, and was the direct advisor on the Arab Community for the Obama Government in the White House for the 2007 elections. He was also a business consultant who worked for Daimler and Deutsche Telekom. 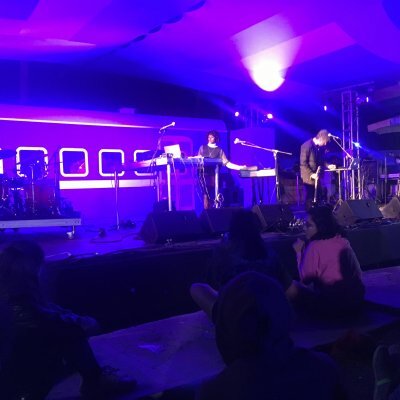 Syd is married to his Israeli wife, has three children and is now a fulltime musician with his band “The Wild Circus” – Oh! And Chessboxing’s new announcer. You often participate in the Chessboxing matches. What is your personal motivation for getting in the ring? Will you continue to fight? I enjoy the training and the preparation for Chessboxing. You become really focused on the goal of going into the ring well prepared. The thing I like most is the mental challenge a Chessboxing fight offers. It is a huge mental test that one must withstand. First, there is the pressure of stepping in front of an audience watching your every move in the ring AND on the chessboard. Then, even worse, there’s a guy opposite of you wanting to take you down. Keeping calm and focused in such a situation makes the whole thing exhilarating and super rewarding in the end. But before Chessboxing, you were a relatively well-known performance artist. Coming from this world, was it your intention to develop Chessboxing as a sort of ongoing performance piece? Do you perceive it as such? As an artist, I was often creating artworks and performances that straddled reality and the world of art, trying to stretch the definition of what was, and was not art. Through my research, I stumbled upon Joseph Beuys and his theory of social sculpture. Rather than have it remain an art performance, this theory inspired me to make Chessboxing into a real sport – a living social sculpture! 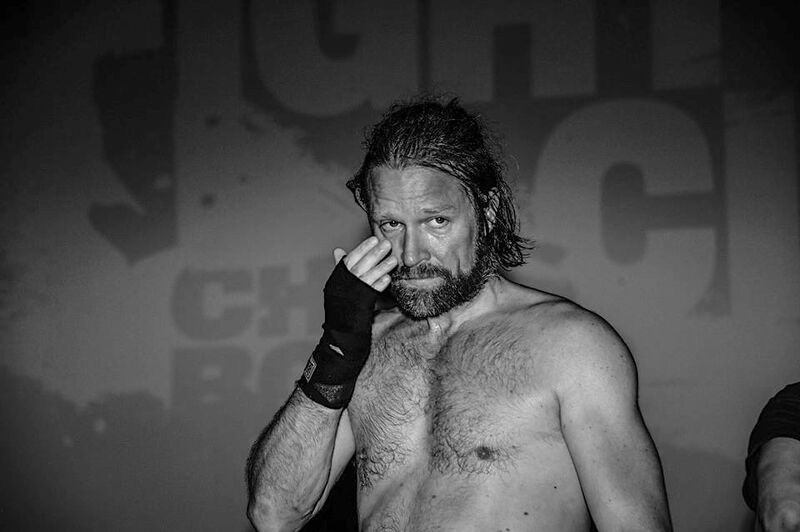 Chessboxing was born out of an idea from French graphic novel: Froid Équateur. The novel is set in the year 2096 and sees inhabitants of a ravaged planet competing in various games, including chessboxing. Was this your idea for developing Chessboxing in the real world? Do you believe that one day our world will become so dystopian man will be required to participate in mentally and physical taxing games for survival? Enki Bilal’s comic is a very dark depiction of our future society, and the sports based in such. Bilal, who grew up in the seventies and eighties, naturally has a much darker vision on society than I have maturing in the nineties. 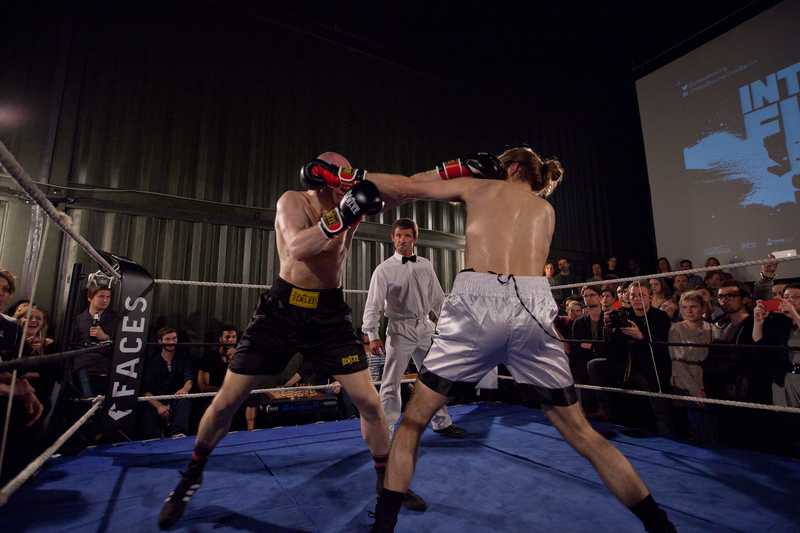 My outlook of Chessboxing is actually very positive. The sport promotes focus, and teaches one how to control adrenaline and testosterone. On a more abstract level, I say it teaches one how to balance the forces of megalomania and humility. 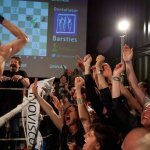 So do you believe Chessboxing has staying power? Will it continue to grow internationally, or remain more of a niche event? By seeing its growth in the last couple years, I know Chessboxing has staying power. I also feel my role is not essential anymore. If tomorrow, I got hit by a car, Chessboxing would defintielly still exist, and continue to grow. There are some amazing people pushing the format around the globe. The first amateur World Championship will be organized next February in India. On that note, what are your thoughts on corporate sponsorship or partnerships? 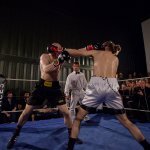 Do you believe Chessboxing would remain as authentic if you partnered with a big corporate sponsor? Will we one day see the top chessboxer on the side of a Wheaties box? Sport and sponsorship has always been a good marriage, especially when you see brands with positive messages supporting the athletes and clubs. If it is a true 50/50 partnership, and there’s a mutual understanding and overlap of the brands, I see it as a real chance to further Chessboxing. We already have several great partnerships. With Inovisco Mobile Media for instance. They do all our event advertisement, and it’s fantastic working with them! They really understand what we are doing – and it doesn’t hurt that they are big fans. Chessboxing will never accept a “Formula One” style of sponsorship, or anything where a brand’s logo is plastered everywhere. With our future partners, we want to work more on a content level. Telling the right stories to the right people through the right channels. But I guess in essence Chess Boxing Global is a start-up. So as a start up, at which stage is the company? What are the immediate plans for this model? The organization has been around for almost three years now. 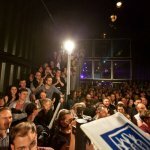 We have raised close to a quarter million Euro with an amazing group of early investors including Enki Bilal and Eric Wahlforss (Co-founder of Soundcloud), and are now about to launch an Equity Crowd Funding campaign on Seedrs.com. Equity Crowd Investing is a very interesting platform. The format gives anyone the chance to invest small amounts into start-ups, essentially making him or her a shareholder. 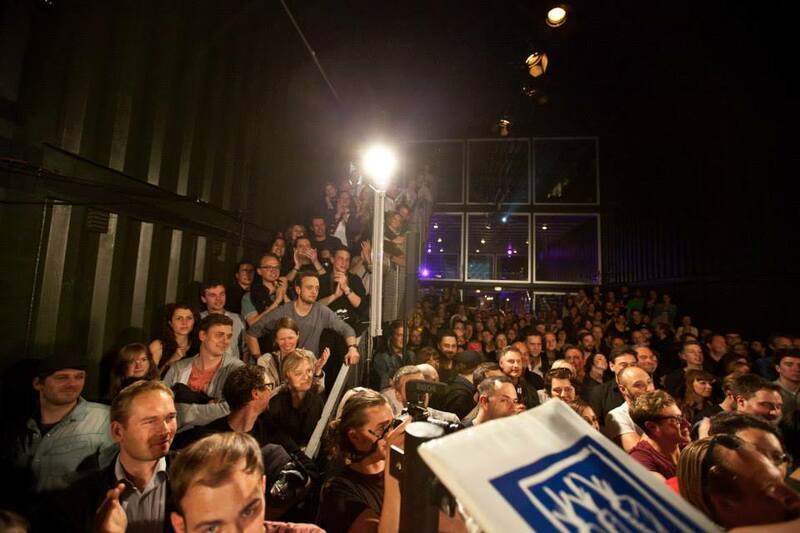 JOIN US AT THE NEXT CHESSBOXING MATCH! 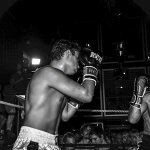 As part of the equity crowdfunding campaign Rubingh, is still looking for a serious investor to challenge him in a Chessboxing fight for 1% of his company. With any luck, this will happen on the 12th! Find out more about Chess Boxing Global, and how to get involved in their the equity crowdfunding campaign HERE.